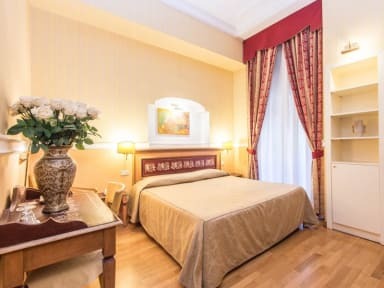 Il Gattopardo Relais i Rom, Italien: Reservér nu! Cancellation policy 7 days prior to arrival. In case of lesser cancellation 50% deposit requested to secure booking will be non refundable. In case of No Show total amount will be charged. After booking 50% of the total reservation will be required in order to secure your booking. There are six individually designed soundproofed rooms with air conditiong. Private bathroom, air-dryer and warm-napkins. Direct telephone line, satellite TV. PAY TV, SKY EUROPE, Safe. Mini-bar and garage arrangements. 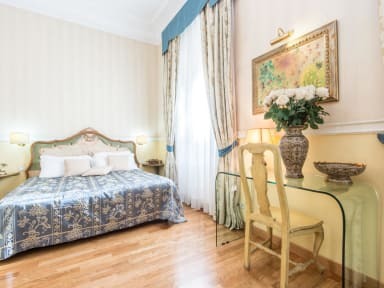 The Gattopardo Relais Hotel is the ideal place for businessmen and for all those who enjoy staying in relaxing and cosy atmosphere. Its central location, crossroad to all public transport facilities, will allow you to reach the historical city centre in few minutes.